Huaweii is a China-based company but it is selling its products worldwide for a while now. Many people have heard of them and this company is really making solid devices. There has been some talk, for a while now, that we might see Huawei manufacture a sapphire version of their Ascend P7 device which was originally announced back in May. Company's Device Chairman and Consumer CEO actually already showed off the device earlier this month. Yu Chengdong has pulled the device out of his pocket during the interview with the 21st Century Business Herald. He didn't stop there though, Mr. Chengdong even told the reporter to knife the screen if he wants... kind of shocking, but a great marketing on his part. Mr. Chengdong went a step further now and basically announced the device via his Weibo account. He posted an image of the device there and said the company will release a Huawei Ascend P7 boasting a sapphire display. 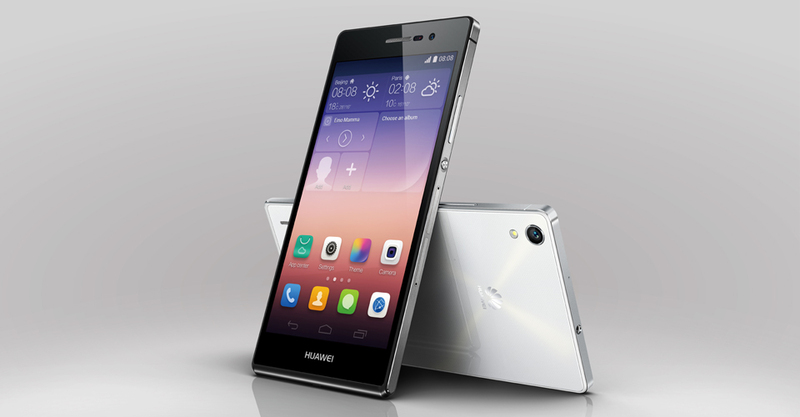 As a reminder, Huawei Ascend P7 is sporting a 5-inch 1080p (1920 x 1080) display along with 2GB of RAM and 16GB of internal storage (expandable via MicroSD card up to 64GB). The device is powered by a HiSilicon Kirin 910T quad-core processor clocked at 1.8GHz with Mali-450MP4 GPU for graphics performance. On the back of the device you can find a 13-megapixel camera with the 8-megapixel sensor being used on the front of the device. 2,500mAh battery is here to keep your phone going through the day and Android 4.4.2 KitKat comes pre-installed. In addition to all that, this device is only 6.5mm thick and it is available for around â‚¬450 in Europe. During the aforementioned interview, Mr. Chengdong did mention he company has to release "shocking products" in order to be competitive nowadays. A phone with sapphire screen would definitely draw some attention to the company considering that it would be one of the first smartphones to sport it. Kyocera Brigadier and Vertu Ti already rock the sapphire screen, though these are not ordinary smartphone, the former one is a rugged phone and the latter one is a luxurious one. Huawei will hold their IFA press conference on September 4th where we might see them unveil this device.